The M8 model of this relatively new brand was sent to me with a request for a test and impartial review. I have been using this tablet for a couple of weeks, and these are my observations. 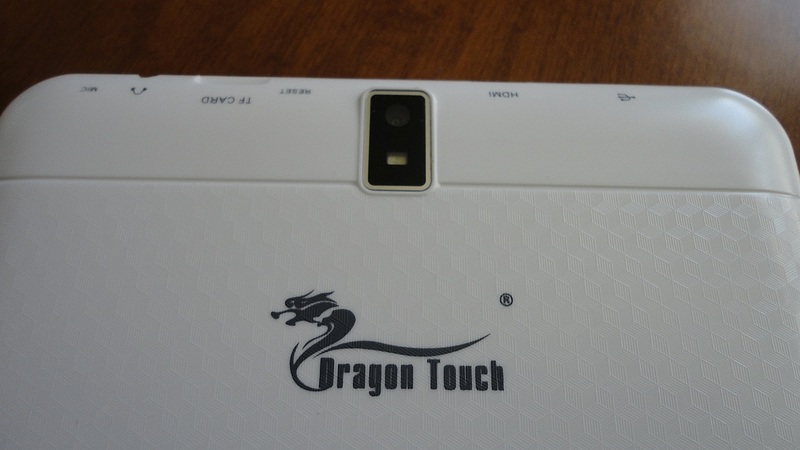 The Dragon Touch is a smart-looking tablet with a thin profile (mine is white). It boasts a lot of useful features all packed into a functional unit marketed at (currently) a very competitive sale price of just under £75 (€110) ($90 US). I will try to cover most of its features. Specs – impressive: quad core processor, 1GB memory, on board memory of 16GB (expandable to 32GB). You can read the full specs in the product description, but it all adds up to fast response and lots of flexibility for the various applications people expect from a tablet. 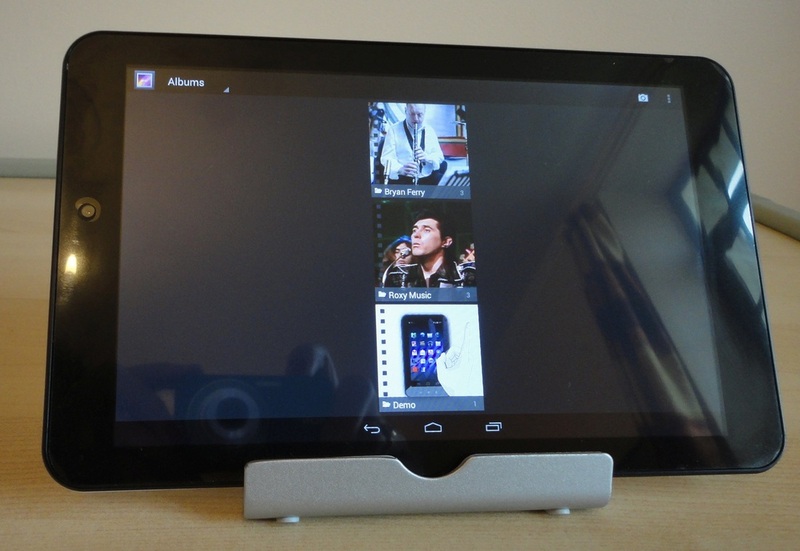 Operation – this tablet employs the Android 4.4 KitKat operating system and is Google-friendly. Screen – I like the screen. It's crisp, with lovely colour resolution, big enough for visibility while the tablet remains lightweight and portable. Battery life – I would say, good to very good. The first few times the suggested charge time is 10 hours (but those are generic recommendations, according to TabletExpress). Mine needed less on first charge and the second charge was done in 3 hours from 15%. It can be charged via the provided wall charger, or by USB cable from a pc or power bank. Voice search – is a kick to use because it works remarkably well and it's a lot faster than struggling with the virtual keyboard. Bluetooth connectivity – fast and flawless. It paired instantly with my headphone, speakers, and a small external keyboard I like to use for e-mail. Sound – while this is a bit thin and sharp out of the onboard speaker, the sound is absolutely fine through outside speakers and headphones; in fact, the bass, depth and definition surprised me. WiFi connectivity – also excellent. It picked up my home network easily (once I got the password right). Ease of use – familiarity helps, but I found the touch control a bit frustrating at first. I kept hitting parts of the screen that would kick me out of what I was doing. Using a stylus point helps with accuracy. Cameras – there are two, one at the back to take things in front of you, and one at the front for selfies. They work best in good light. Quality is not fantastic, but more than adequate. You can take photos and video and the commands are really easy. USB transfer – this works well, although Vista gets confused and tells me I don't have the correct drivers. I moved photos, videos and music easily by the usual drag-and-drop method. For books, I had to download the Kindle app first. 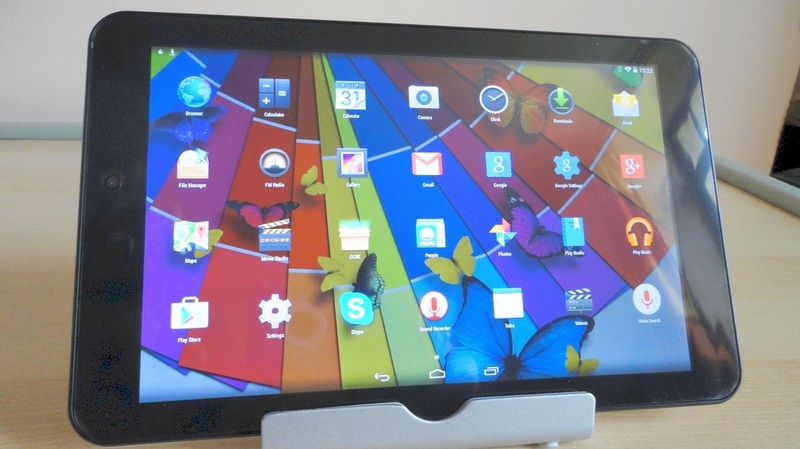 The Dragon Touch 7” and 10” models have both made the list of Top 10 Android Tablets of 2015 published by ezvid.com. 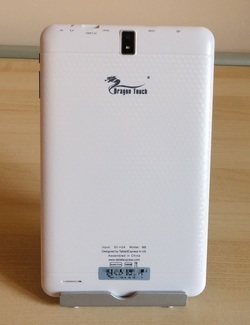 This 8” model is a little smaller but comparable to the 10” model which was rated at #3, and decidedly superior to the 7” model which was named #9 in a list which also featured Lenovo, Samsung and all the top names in the game. My conclusion is that this is a very capable device offering excellent features and functions, but at a budget price. I love it. UPDATE: Almost a year after posting my review, I am still very happy with this tablet. I don't use it every day, but often enough and, more significantly, my husband gets along with it. Since he's not a techie and has very little patience with things that don't work, I'm pleased that he likes it, especially the screen and the picture is produces. I have just found a superb case and Bluetooth keyboard that work well with it and make it even nicer to use. 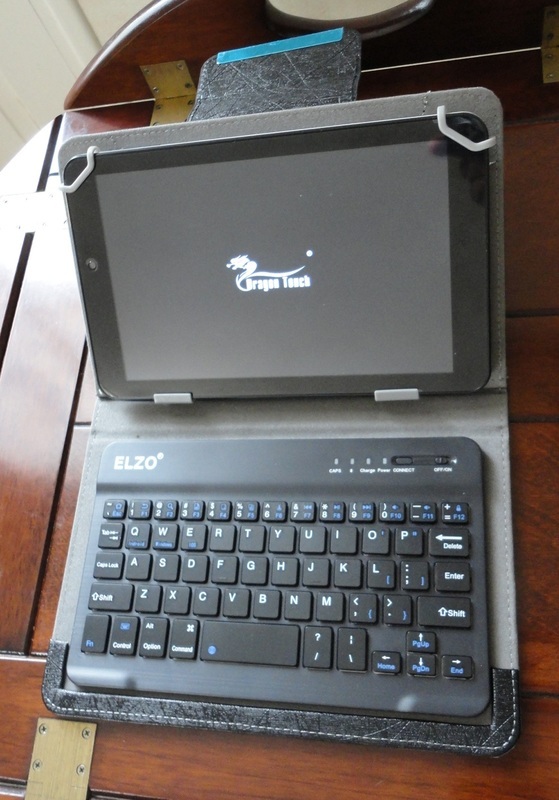 It's made by Elzo and it fits a lot of 7-8 inch tablets. Doesn't it look great?